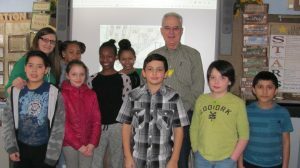 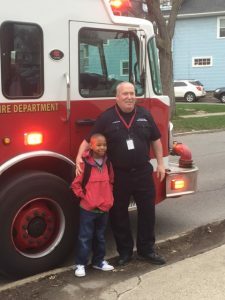 April has been a month of celebrations for the winners of the 2017 Prevention 1st Home Fire Drill Poster Contest. Winners received a pizza party for their classroom as well as Wal-Mart gift certificates. 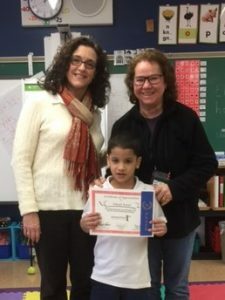 The winner in the 3rd and 4th Grade Category was Jaylen DeCoste, 4th grader at School 42, while Honorable Mentions went to his classmate William Cody and to Yahir Zaldivara 3rd grader at School 35. 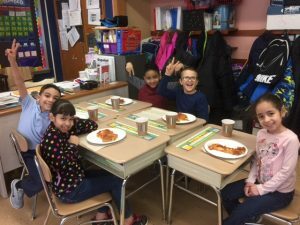 Classrooms at both School 35 and 42 celebrated with a pizza party. 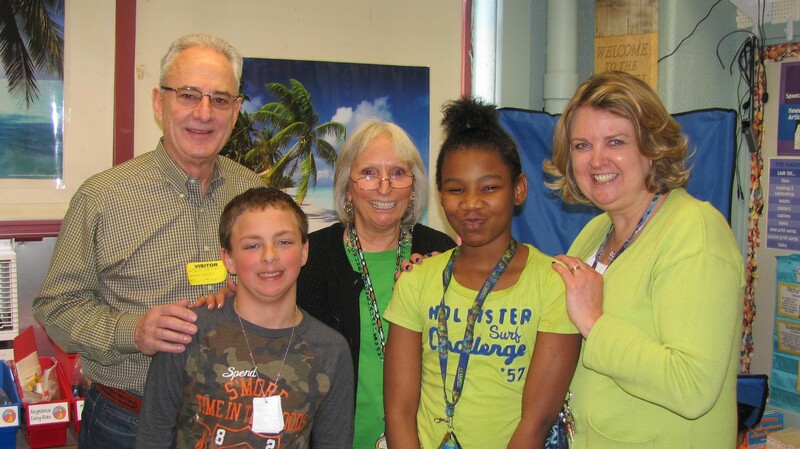 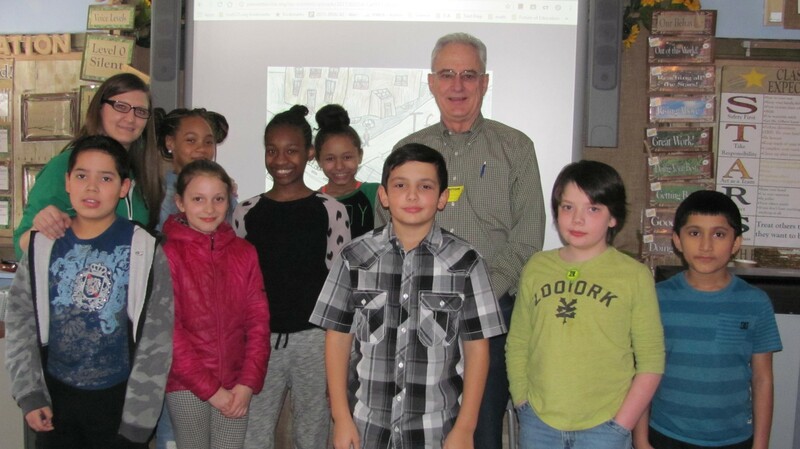 Colin Brunson and Ny’asia Jones at #42 school, with 5th grade teacher Anne Boccardo and Bob Crandall from Prevention 1st. 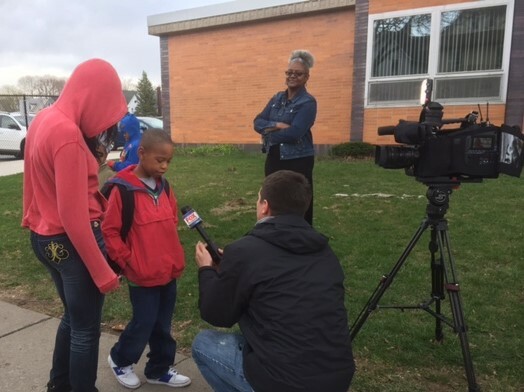 The winner in the 5th and 6th Grade Category was Colin Brunson, a 5th grader at School 42, with Honorable Mentions going to classmate Ny’asia Jones and 6th grader Alex Rosario. 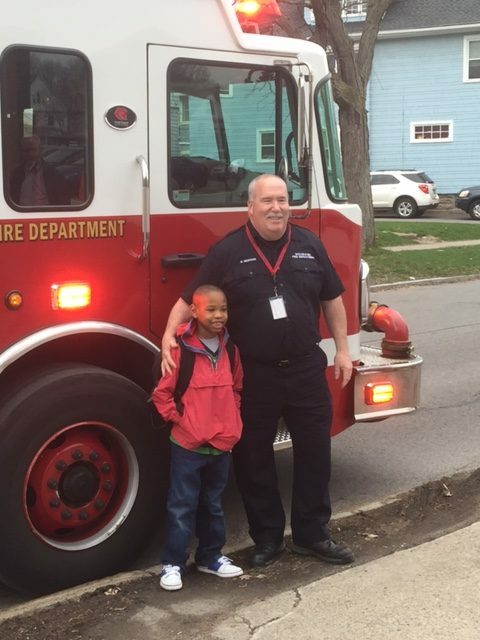 Corey Faison, a third grader from School 35, was the winner of the drawing of all students who submitted a poster for a special prize–a ride to school on a firetruck. 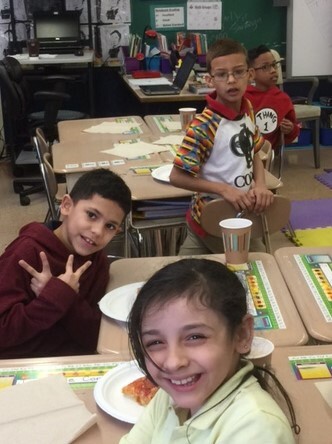 Yahir Zaldivara and his classmates at School 35 dig into their prize pizza party.